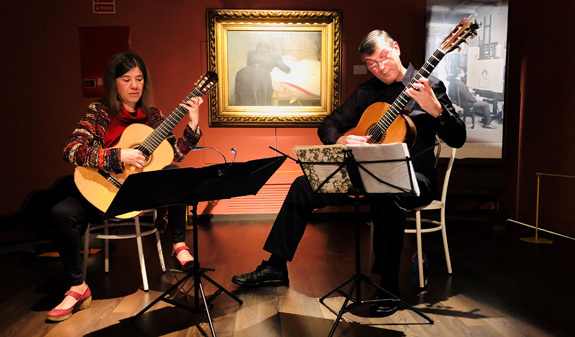 These guided tours on a musical theme reveal the secrets of the Gothic Quarter and the Raval: a walk, a concert and wine tasting that will take you back in time. 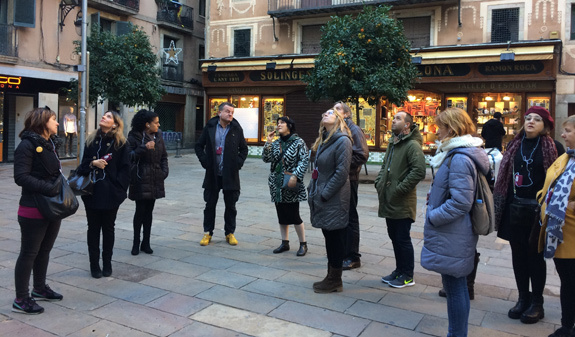 The tour begins by the entrance to the opera house, the Gran Teatre del Liceu, halfway along La Rambla, from where you’ll walk to the Ignasi Puig romantic gardens. You’ll explore the streets around the cathedral and make your way to the Raval where you’ll have the opportunity to enjoy the finest 360º views of Barcelona. 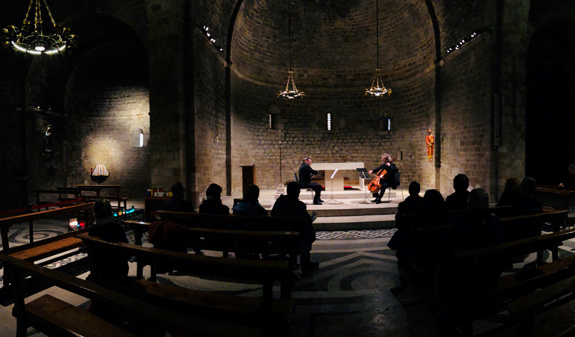 The walk ends with an intimate chamber music concert and a glass of the famous sacramental wine, Muller, at the city’s most ancient Romanesque monastery, and one of its least-known landmarks: Sant Pau del Camp. This trail is an extended version of the music tour. 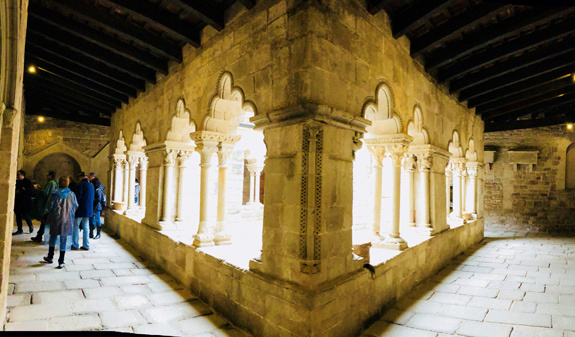 After the intimate chamber concert at Sant Pau del Camp, the route will continue through the streets of the Raval as far as the unmissable jazz and music workshop club, JazzSí. 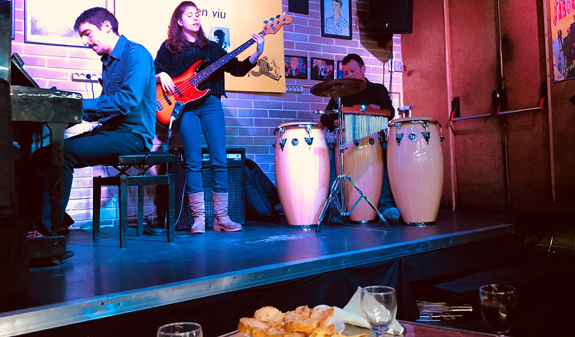 At JazzSí you’ll enjoy a vibrant Latin jazz concert while you enjoy a glass of local wine and a plate of tapas. Visit to the Ignasi Puig romantic gardens. Intimate chamber music concert (30 min). Tickets to the belfries of the church of Sant Just i Pastor. Tickets to the monastery of Sant Pau del Camp. A glass of sacramental wine. A jazz concert at a jazz club (30 min). A glass of local wine and a plate of tapas. Times: from Monday to Friday, at 9am. Length: Musical Tour, 2 hours and 30 minuts; Tour of the senses, from wine to music, 3 hours and 30 minuts. Meeting Point: in front of the Gran Teatre del Liceu. 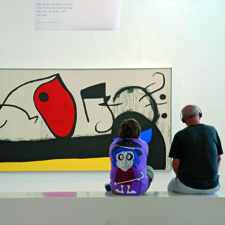 La Rambla, 51-59. Metro: L3, Liceu. 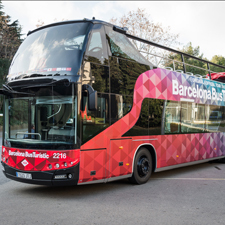 Bus: V13. Passengers must arrive at the departure terminal 15 min. before departure time.